Free Standing Aerial Rig - First time assembly! It's like a giant swing set! A *giant* swing set! The web site claims that 2 people can assemble this rig in about 10 minutes. There were 3 of us, and it took us about an hour, but that includes unpacking time and head-scratching time and a space that was juuuuuust barely big enough for the rig. 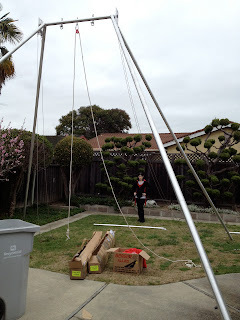 The base requires 24x28 feet of space, which is just about the exact size of the yard we were in, so there was a little bit of wiggling and scrunching to get it to fit right. It was incredibly easy to put together. I think having 3 people is probably the way to go, but could have done it with 2 in a pinch. 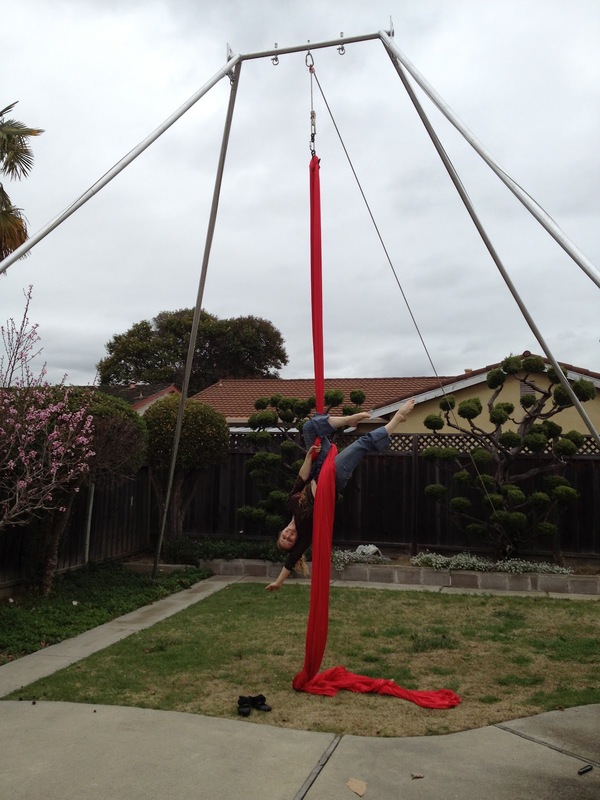 Its height is 18.5 feet maximum, and it can be assembled at 14 feet by leaving out one of the pole sections. The rig is incredibly well designed, and will be really easy to take apart for transport. It will fit in a midsized car (if it's just the rig and the driver), at least, we *think* it will. Haven't tested that yet. 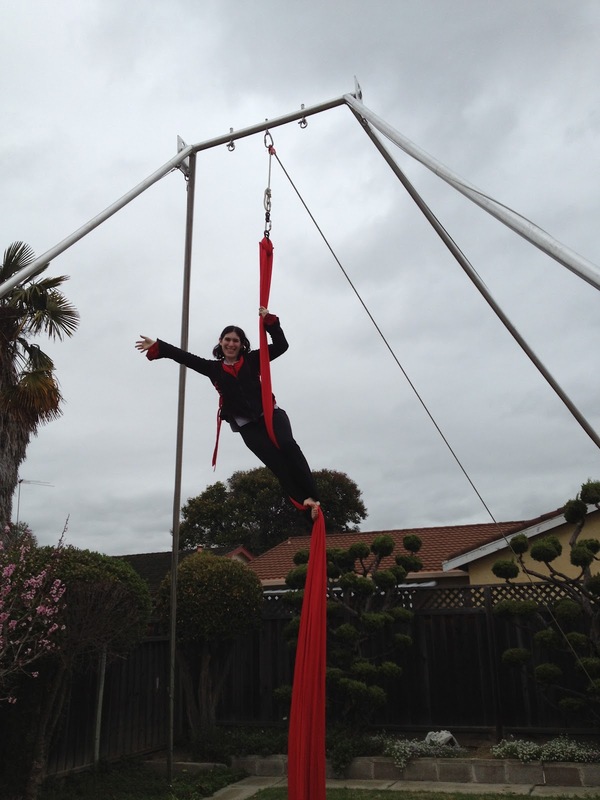 So .. bring on the outdoor summertime aerial shows! We are equipped!